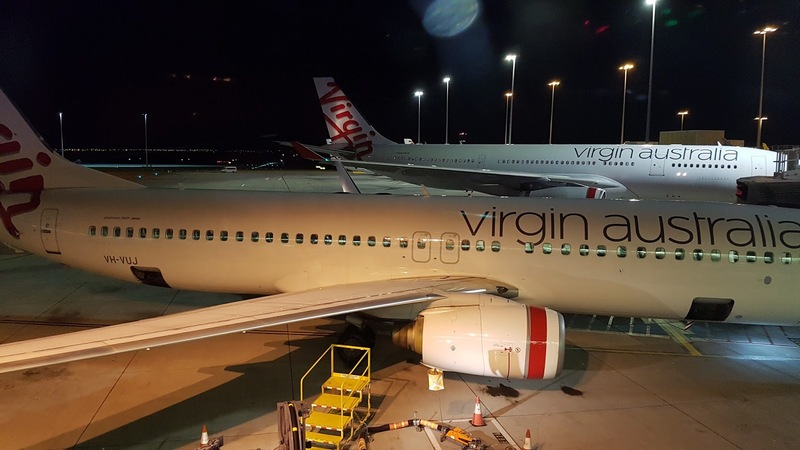 Virgin have had short haul business class on domestic for a few years now. I have read mixed reviews on the product with some experiencing great service and others being almost ignored. Here is my experience on a recent trip. 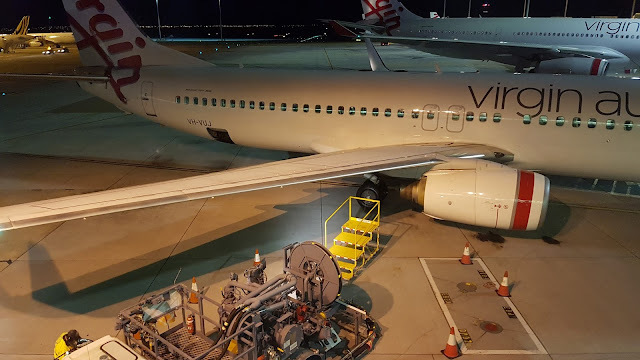 My flight this morning was operated by VH-VUJ. This aircraft is almost 10 years old, delivered to Virgin Blue in 2006 and later repainted to the current Virgin Australia livery. 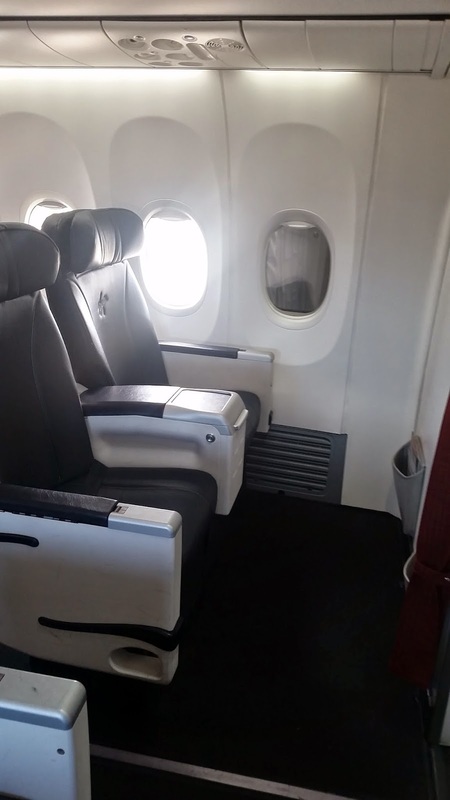 The aircraft, like all the other VA 737-800's, has 8 business seats and 168 economy. I was in seat 1A for this sector. After the seatbelt sign was off we were offered breakfast options. 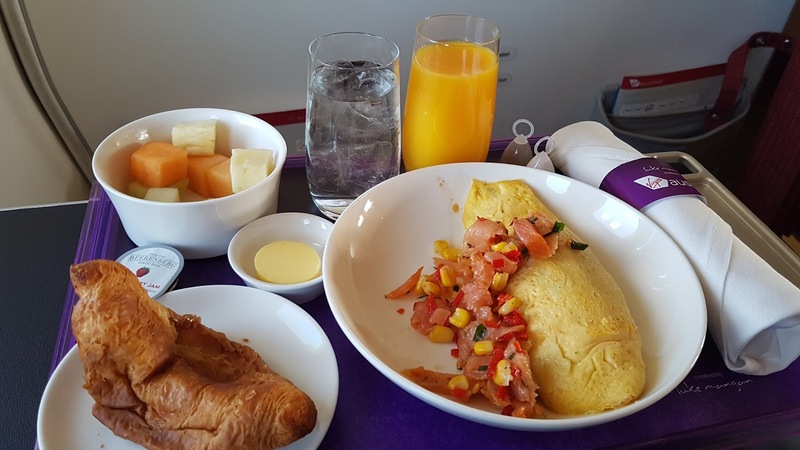 There were 2 choices: an omelette with salmon or some kind of porridge dish. I had the eggs and my companion had the porridge. Both came with a fruit salad plus the offer of breads including croissants with jam and butter. 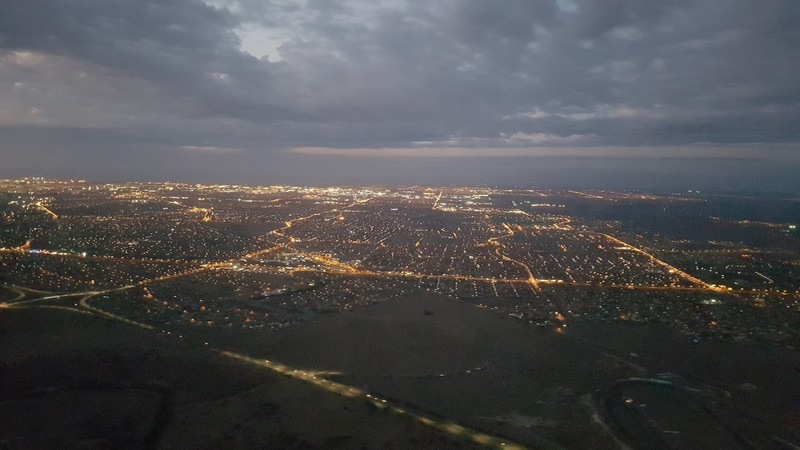 I thought the meal was lovely and very appropritate for a 2 hour domestic sector at this time of day, no complaints at all. 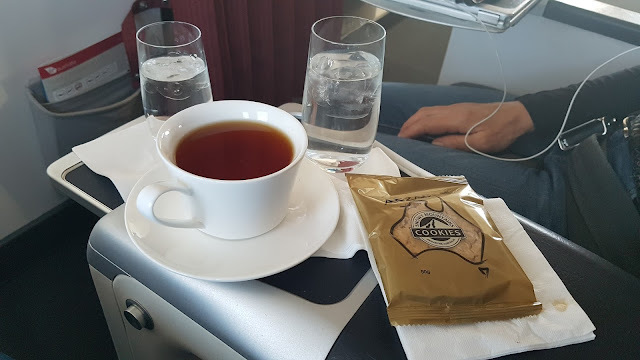 The flight attendant made sure we were well refreshed throughout and later on before landing I had a cup of tea and without even asking it came with a lovely anzac biscuit. Very thoughtful. 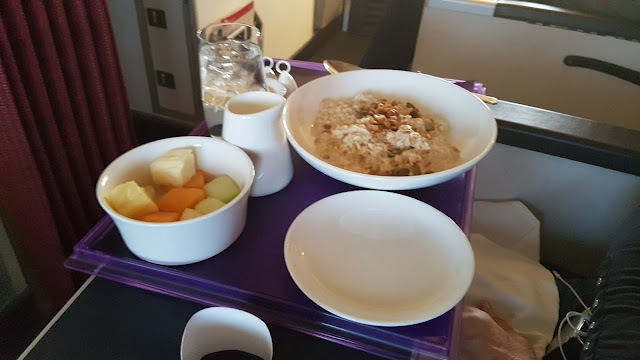 I prefer Virgin Australia plates and tea cups to those on Qantas. The Marc Newson designed cups I find are prone to leaking from the sides as you take a sip from them. These ones are more traditional and elegant without the leaking! Inflight entertainment was available via wireless streaming. 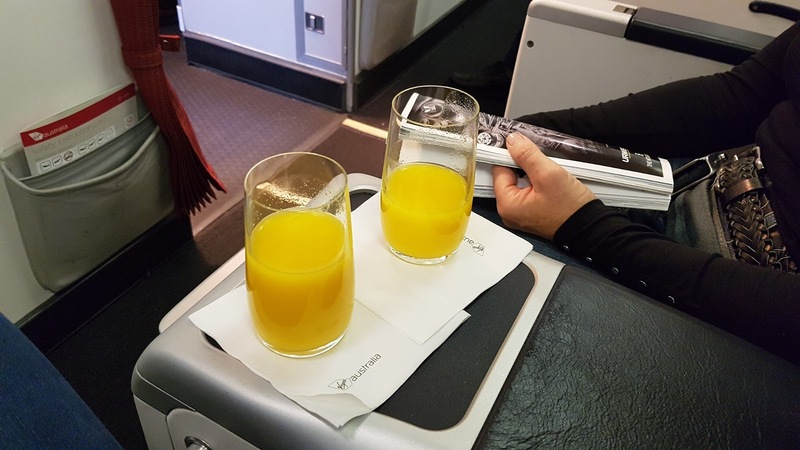 You could either bring your own device (make sure you install the entertainment app first on the ground) or in business a tablet was available which could be set up on your tray table to connect to the same wifi system. The verdict? All in all a very pleasant experience on this sector. The meals and service were great and the IFE system works well plus the flight operated to schedule. 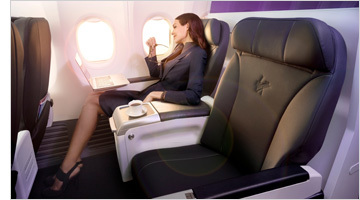 I just think the addition of onboard power plus foot & leg rests in the business seats would make this an overall better product. Yes, you had a good crew. Fun fact -some of the 738s do have AC power in J.